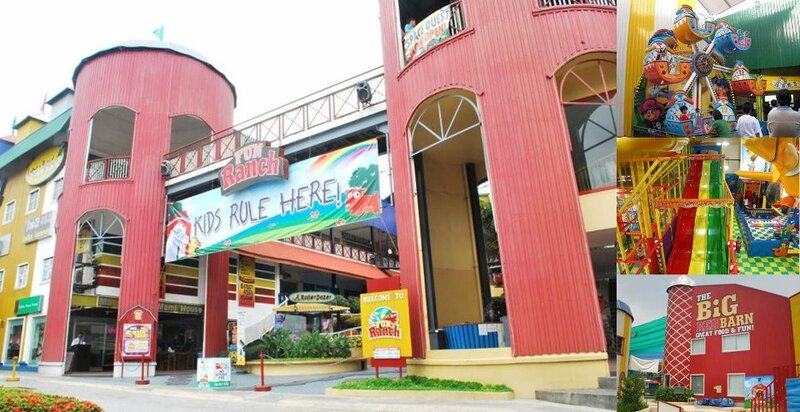 TOPAZ HORIZON: Your bonding moments with your child can win you a fun day at Fun Ranch! Your bonding moments with your child can win you a fun day at Fun Ranch! This is Iñigo and me laughing our hearts out. My baby boy started laughing at 2-and-a-half-months old. Yes, laughing! I discovered it by accident. He was staring at me seriously and then I took hold of his hands and made him clap. I don't know what happened but he started to chuckle. The more I made his hands clap, the louder he laughed! Soooo cute! That's one of the ways I bond with my infant. Breastfeeding is another huge way we bond. So is co-sleeping. I talk about this because I'm inviting all mommies to join the Valley Farm Luncheon Meat Chunky Charap Promo!!! 1. Like Valley Farm's Facebook page. 2. Upload a photo of yourself and your child having a Chunky Charap bonding moment. That's it! You can win free VIP passes to Fun Ranch! Valley Farm is giving away 20 passes every week! So visit Valley Farm Luncheon Meat's Facebook page now and join join join to have even more bonding moments at Fun Ranch! Good luck!